How Does VoIP Work? VoIP allows you to make voice calls over the internet. Check out this post to find out how to make it work for your business. You’ve realized by know that you need to upgrade that phone service of yours. You’re done with tripping over the phone cord and dealing with crappy service, and you want out. There’s good news for you: VoIP networks are here to answer your call for help. VoIP networks are the hottest new way for workers to make and receive calls within the business. It’s faster, is more reliable, and it’s efficient – in other words, everything that your current plan isn’t. So how does VoIP work, exactly? We’re glad you asked. VoIP is actually pretty simple to understand, and we’ll help you learn all about it. Keep reading to learn more. VoIP is unique in its own right and delivers a new age of phone service for businesses. 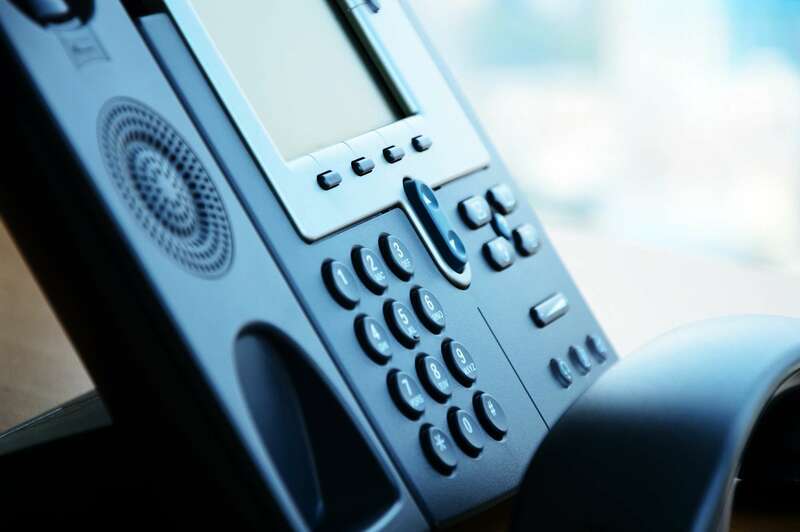 Unlike the current standard of phone service, which runs off of landlines, a fixed VoIP service relies on a digital signal that travels over the internet. By simply connecting to a wireless “hot spot”, you can make calls over the internet with ease and in a faster time than a landline service. Here’s how it goes: Your business phone will be connected to a router, and that router will connect you to the internet. Your phone number then gets transferred through the internet waves to the receiver on the other end, where they’re able to receive the call. Okay…But Why Do I Need It? VoIP has the potential to help your business reach new limits. First off, you can list every phone in the building under the cloud service, giving everyone a VoIP caller ID. This means that all phones are synced to each other on the server, allowing for stronger in-house connections. By using the internet, you also get to save money. It takes a lot of power to run those traditional landlines, and by extent, it takes a lot of cash. If you’re running off of a cloud-based phone system, all you need is to have a capable wireless internet server – and most businesses already do. This means you can use what’s already in the office, instead of having to install thousands in clunky equipment and wiring. As a bonus, since it’s a service that runs over the internet, it can be protected by the security features you’ve already installed. Reliance, speed, and security all in one. We’d say that’s a win-win all around. Now that we’ve answered your question on how does VoIP work, you need to know who exactly to go to give your business the best service you could ask for. Luckily for you, we can help with that. At Pegasus Technologies, we make it our mission to give you the best cloud-computing tech in the business. We offer cloud services, data backup and recovery, cloud email migration, private and hybrid cloud computing, and so much more. Have any questions you would like for us to answer? Not a problem. Just send us a message and we’ll be sure to answer any questions you may have.